Marketing message expert Olga Mizrahi has worked as a change agent, serving as the first in every one of her previous positions, both in the corporate world (for companies such as PIMCO and Dole) and in academia. 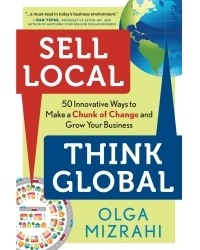 After earning her MBA from Pepperdine University, Olga started a successful agency, ohso! Design. Olga served on the PBS SoCal Interactive Advisory Board, the California Women’s Conference Advisory Board, and the Women’s Business Council of the Long Beach Chamber. She lives in Long Beach, California, with her husband and daughter.